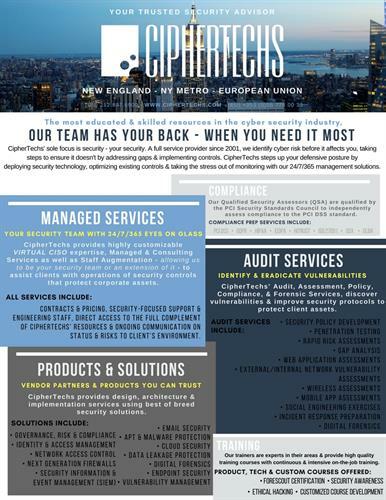 CipherTechs, Inc is a global cyber security service provider. We are 100% focused on security and strengthening our client's defensive posture. We specialize in audit services, 24x7x365 managing and monitoring, products and solutions, architecture, and cyber security awareness courses.